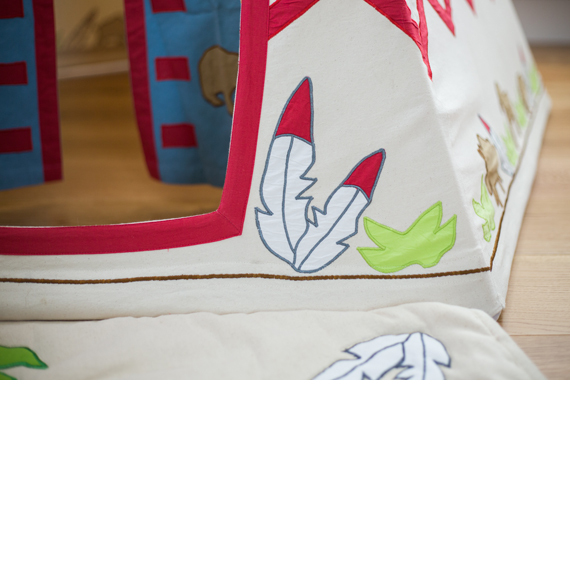 Little boys (and girls!) 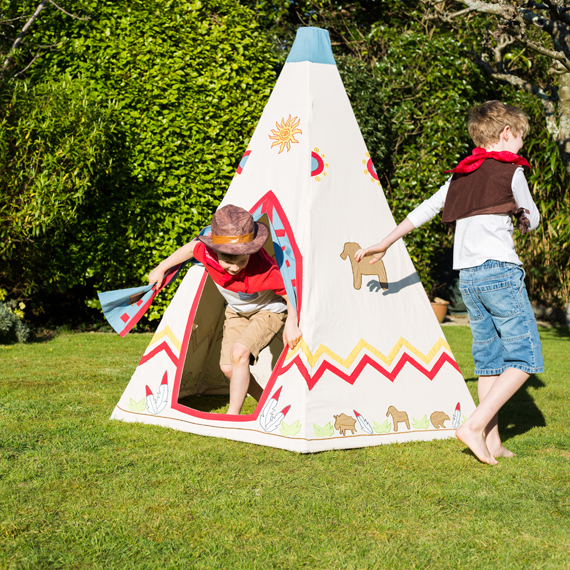 will love this fantastic wild west wigwam playhouse from KIddiewinkles. 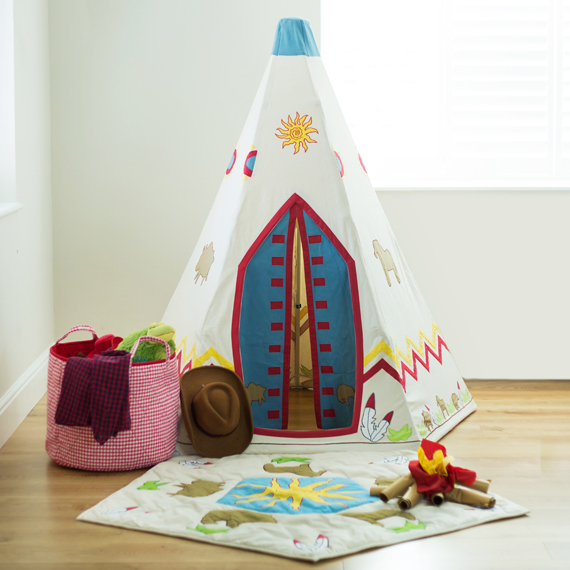 The authentic feel of the colours and design make this ideal for cowboys and Indians make believe in the garden, or a fun and exciting den in a bedroom or playroom. 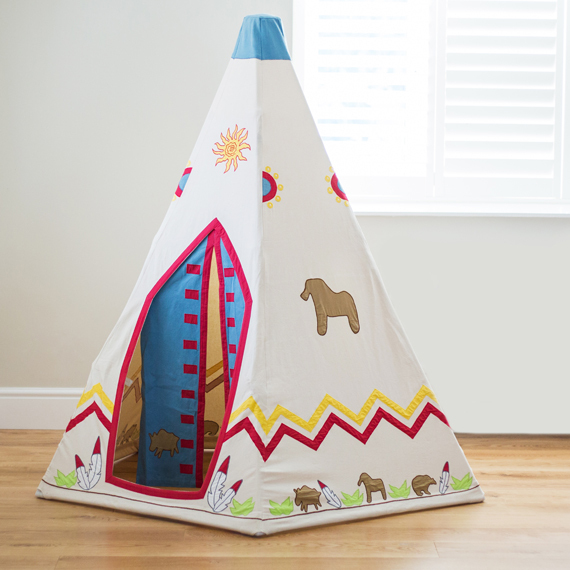 The Wigwam is made from a natural cotton canvas background with a selection of authentic motives embroidered around the sides. 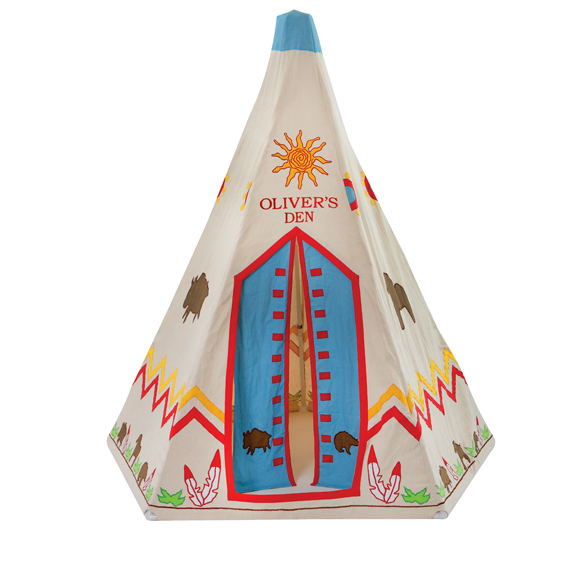 A striking sun blazes golden on the front and a horse, buffalo and bear applique motives are featured along each side. 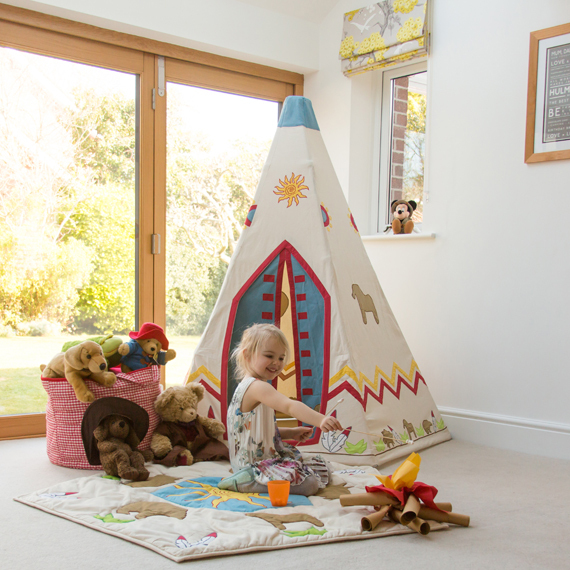 The bright blue door at the front can be tied back to allow easy access whilst the little window provides the perfect lookout during those games of hide and seek.